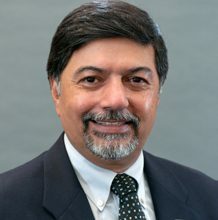 Raj Sisodia is FW Olin Distinguished Professor of Global Business and Whole Foods Market Research Scholar in Conscious Capitalism at Babson College, and Co-Founder and Chairman Emeritus of Conscious Capitalism Inc. He has a Ph. D. in Marketing from Columbia University. Raj is co-author of the New York Times and Wall Street Journal bestseller Conscious Capitalism: Liberating the Heroic Spirit of Business (2013) and Wall Street Journal bestseller Everybody Matters (2015). He was named one of “Ten Outstanding Trailblazers of 2010” by Good Business International, and one of the “Top 100 Thought Leaders in Trustworthy Business Behavior” by Trust Across America for 2010 and 2011. Raj received an honorary doctorate from Johnson & Wales University in 2016.